Where is Afghanistan? What is it like to live there? 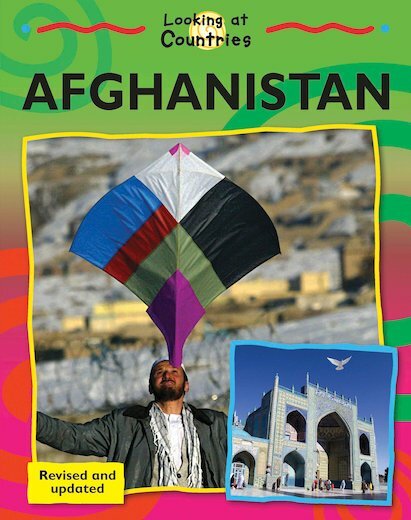 In maps and bold colour photos, this book takes readers on an exciting tour around Afghanistan’s landscapes, foods, religions, family life, schools, sports and industries. Full of fascinating details which capture children’s attention and encourage them to make comparisons with their own lives, this is a wonderful choice to inspire would-be travellers and awaken an interest in other countries. The book includes a glossary, maps, lots of statistics, a list of Afghan words to learn, and an interactive map to trace and complete.